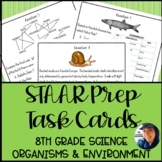 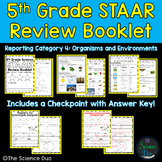 2nd Grade Interactive Science Notebook: Organisms and Environments Aligned with Standards for 2nd grade Science (STAAR, TEKS) The Interactive Science Notebook Interactive Notebooks are great for students to reflect on what they have learned. 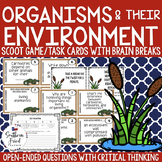 Encourage them to record their ideas and findings! 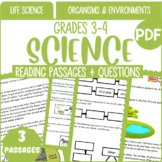 Also included in: Daily Science Starters for Middle School - The WHOLE Bundle! 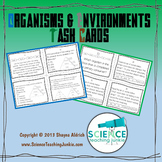 Also included in: Custom Bundle for Suzanne S.
Quick, one-page review for the Organisms and Their Environment unit. 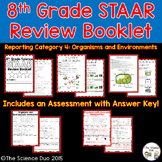 Great for studying and practicing vocabulary words and key concepts before the STAAR test. 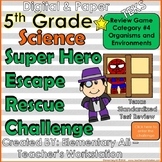 You could also print posters to study around the classroom. 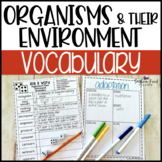 Organisms and Environments... Bring on the SCIENCE FUN!!! 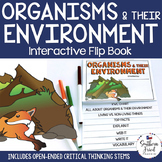 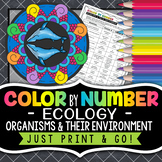 This engaging Organisms & Their Environments Interactive Flip Book is an organized student resource that is load with critical thinking stems and questions which makes students really think. 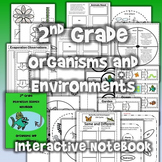 It can be used as a stand alone resource or for interactive notebooks. 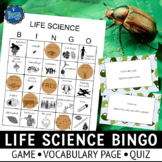 It can be used for so many things.